Thanks to some short-handedness at work, I once again find myself traveling the barren wastelands of west Texas. I had hoped the time between these extended trips would be longer, but here we are. The silver lining to this dismal stormcloud is that I have fewer things to distract me from my shiny new Switch games. 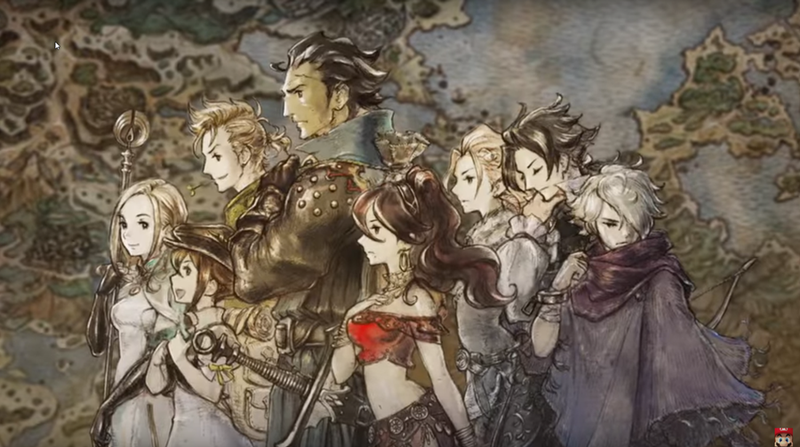 So, this week I plan to finally give Octopath Traveler a proper shot. -I will be largely fine with the turn-based combat, but it will enrage me during boss fights. -I will find the characters to be extremely cliché, but endearing nonetheless. -At no point will I ever stop being completely blown away by the visuals. Hopefully in a few days I will write a conclusion to this experiment, and comment on the validity of these statements!